The school supplies are bought, the bookbags packed, and schedules are set in place. It’s back-to-school season! Whether you’re the kind of mom who cheers when the school bus comes around or the one who wishes she could hold onto those kiddos a bit longer (or like me – a confusing mix of the two! ), back-to-school season marks a progression of time that we just can’t escape. For many families, the new school year means a return to routine, and as such, it’s the perfect time to establish, or perhaps re-establish, some important habits. I don’t know about you, mama friend, but my devotional time in the summer tends to be less consistent, and I find myself longing for a good long time in the Word, or an hour to just sit and pray. So while I hate the busyness that the school year brings, I welcome the chance to get back to a routine! As I reflect on the past summer and think ahead to this coming school year, I know above all, I want to cover it in prayer. I want, no… need, to develop a more consistent prayer habit! We can always afford to spend more time covering our families, homes, relationships, work, ministries, etc. in prayer. In fact, I might argue that we can’t afford NOT to. The resources for praying women below can help your back-to-school routine to incorporate more daily prayer by putting a specific plan into place! What might happen in our homes, our churches, our communities if more women of faith really dedicated themselves to consistent prayer? As much as I love to pray for my children, I recognize that a healthy prayer life begins with my own spiritual health. And let’s be honest, as mamas we often put the needs of others before ourselves – rightfully so. 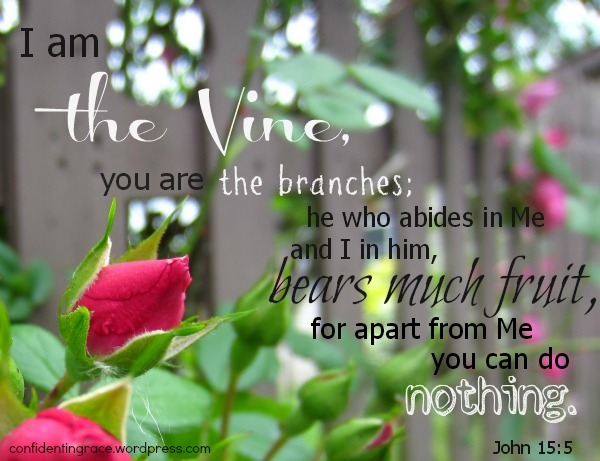 But as I mentioned earlier, my soul longs to connect to the Vine. More than mothering well, my prime responsibility is to follow after God well. I simply cannot be the mother/wife/woman I need to be when I’m not walking in the Spirit. *This post contains affiliate links. Jen is a participant in the Amazon Services LLC Associates Program, an affiliate advertising program designed to provide a means for sites to earn advertising fees by advertising and linking to amazon.com. Thank you for helping to support the ministry of this site! Sarah Ann has created a short but sweet 7-day prayer challenge for women who want to see more fruit in their lives. This challenge is a great starting point for women who want to establish a regular prayer habit. 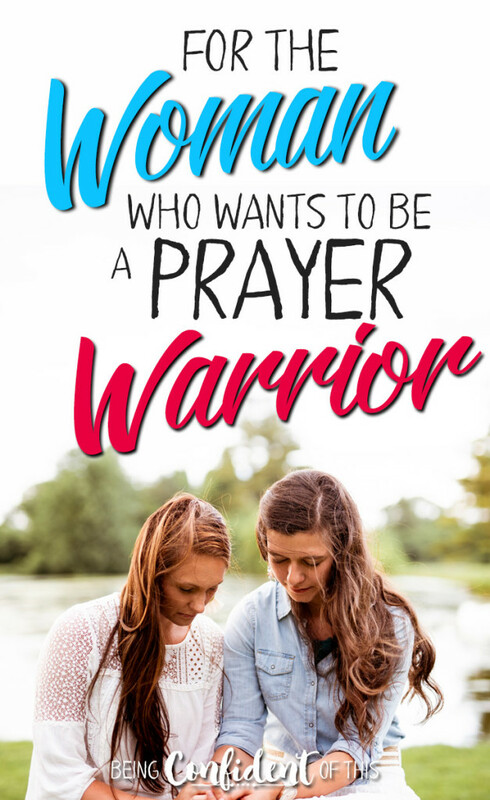 If you’re not sure where to start when praying the scriptures, this free e-book from my friend Jennifer is offering will point you in the right direction! In addition to the ebook, when you join her mailing list, you’ll receive a guide for 12 ways to add prayer time to your day. 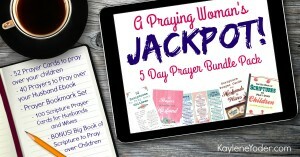 A Praying Woman’s Jackpot from Kaylene is a HUGE set of prayer resources for women, covering the areas of marriage and parenting. This affordable bundle includes FIVE different resources to help you pray daily for the people who matter most in your life. 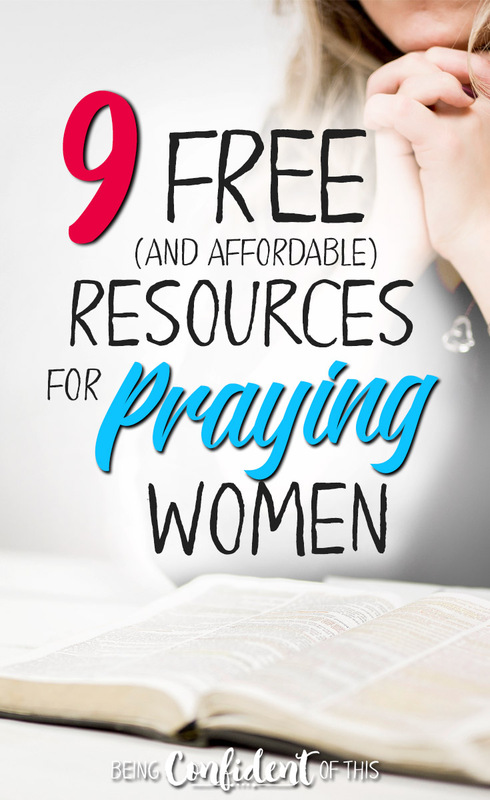 Talk about powerful resources for praying women! The 30-Day Prayer Dare for Parents, also from Kaylene, starts the beginning of September (and once again, it’s FREE for those who sign up)! You’ll receive daily emails including prayers and scriptures to support those prayers, and if you want to take your prayer life a step further, you can also purchase an inexpensive workbook/journal to help you keep on track. If you’re a regular around here, then you know that Rebekah is my co-author! She’s always busy providing practical help to women who are dealing with marriage issues and working to overcome them. 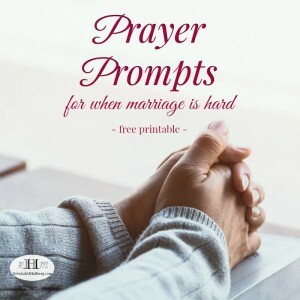 This FREE printable gives 31 different prompts for you as the wife, for your husband, and for the two of you as a couple. What better way to get back into a consistent prayer habit than to focus on uplifting your marriage through prayer! These family prayer kits come with a separate prayer guide specific to each age group – children, teen guys, teen girls, and adults. Each resource is designed with the target audience in mind. The kits include everything from prayer journaling sheets, to bookmarks, and help with different prayer methods like ACTS. As a favor to me, my friend Aimee has offered a special discount for Being Confident of This readers during the month of August! Use code “justpray” to get an extra 15% off your purchase! 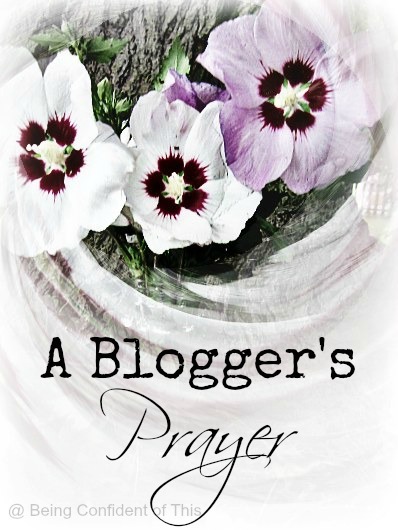 I love Aimee’s family approach to the spiritual discipline of prayer! For extra savings, you can purchase various bundles that combine the kits you need. Arabah Joy consistently develops resources that teach people how to pray using Scripture as a basis. You may have already encountered her book, Praying the Promises of the Cross, but this particular challenge focuses on praying for your children as they begin a new school year! Here’s another fantastic FREE resource from Sarah Ann to help you overcome the overwhelm that hits when a new school year starts. 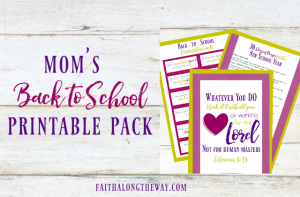 This pack also includes 30 days of prayer for the new school year! It’s easy to pray for the people right in front of you. After all, we see them every day, and we talk with them about their problems and worries. It’s a bit more challenging to pray for people around the world whom you don’t even know. Their culture may be totally unfamiliar to you, as well as their needs. But I think we can agree that one need we all have in common is for salvation through Jesus Christ! So, if you’re in the same boat as me – determined to develop a consistent prayer habit, then you might find this free prayer printable helpful. 9. 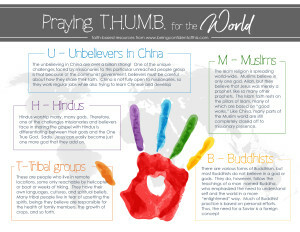 THUMB teaches you (and your family) to pray for the most unreached people groups of the world. Using each finger of your hand, you can use the acronym to help you remember the names of the people groups who are still desperate for God’s truth. This handy prayer printable also gives you helpful information on each group so that you can better pray for their needs. Friend, if you’re taking a look at all of these fabulous resources and feeling too overwhelmed to even know where to start, then maybe you need this encouragement here: 8 Scripture Prayers for When Your Glass Is Empty But Your Plate is Full. Start with God’s truth first by remembering who you are in Him – fully redeemed, fully loved, fully equipped. Any praying you do must come from that place of resting in your God-given identity first. If you’ve tried to establish a habit of prayer before and failed, then don’t give up! Don’t fall for the lies of the Enemy that you just don’t have time to pray, or that your prayers are ineffective. Fellow work-in-progress friends, let’s be like the persistent widow in Luke 18; let’s be women who pray without giving up! What If God Actually Answered My Prayers? His words caught me totally by surprise. I looked up from what I was doing to be sure I’d heard him. My husband has never been very definitive about anything, especially pertaining to our marriage, so his matter-of-fact response caught me off guard. My husband and I have had a rough few years. We’ve had legal, financial and marital issues, to name just a few. The trauma we’ve dealt with has been almost unbearable. My husband has had to deal with some very difficult issues, and while we’ve tried to navigate them together, ultimately they have been his demons to wrestle while I prayed. I was frustrated at where we were in our relationship – seemingly stuck. The struggles that we faced took us on very different roads than I ever intended. Navigating them has not been easy for me. He answered that we won’t be in this position forever. I won’t always feel stuck. No, someday this will be behind us. Friends, I have prayed for this moment. I have prayed for my husband to step into the position to want to lead our family, our marriage. And there I stood, surprised, uncertain, not sure what to do. Your prayer is too big to get answered. Your relationship is too broken. Your God isn’t big enough. Even those 4 lies right there – they’re huge. We’ve all probably heard them (or a variety of them) at some point. But what does God do? God calls us out – He makes us holy, set apart. In Exodus 3:5, God called to Moses from the burning bush. And in Joshua 5:15, the commander of the Lord’s army met Joshua near Jericho. The commander of the Lord’s army replied, “Take off your sandals, for the place where you are standing is holy.” And Joshua did so. When God is ready to use us, when He answers our prayers and prepares us for what’s ahead, He will set us apart for His purpose. We may not see a burning bush, and we may not talk with the commander of the Lord’s army, but that doesn’t diminish God’s work in our lives! God’s power to work is as strong whether we have a Damascus road experience, or whether we’re struck by the words of our husband. God is not finished with my marriage. He still has a plan for us. He is answering my prayers for my marriage in ways I can’t even believe. What are you praying for today? How can we be praying with you? We will pray, but friends, I ask you to pray, believing. 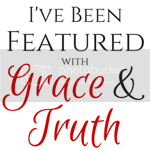 Last week life got in the way and I wasn’t able to post the Grace and Truth Friday link-up. 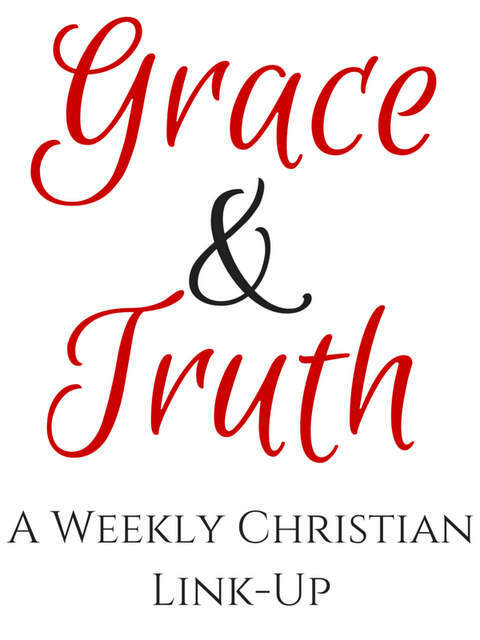 So, I’m happy to say that this week Grace and Truth is Back! So pray for us, will you? We could use some extra encouragement and joy and laughter around here. We could use some prayer coverage for the spiritual warfare going on around us. We could use a few easy days. And I’m learning not to be too proud to ask for that help! The one good thing about the past week is the beauty that exploded into life in our backyard. It’s been a daily reminder of God’s goodness to us, especially in this fascinating world He created for us! We can all use a good reminder from time to time about who we are in Christ. 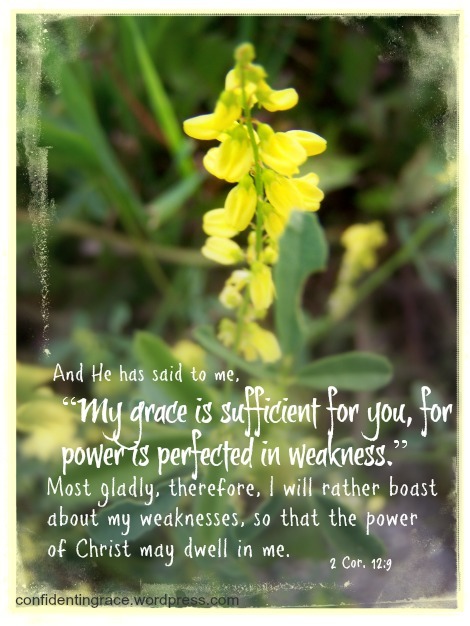 I keep coming back to that truth, the truth that He loves me even still, that He rejoices over me, that He chooses me. He chooses you, too, my sisters in Christ! Let’s not forget the truth that is His perfect love! 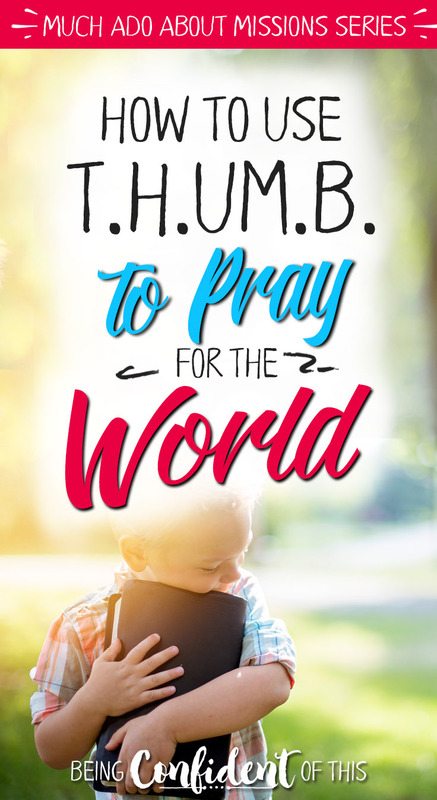 Much Ado about Missions: Praying T.H.U.M.B. We’ve reached the third and final week of our Much Ado about Missions series – helping you develop a missions mindset in your home! If you missed the Introduction to this series, you can view it here. Also, if you need to catch up, you can find all of the posts listed under the weekly wrap-ups: Week 1 (teaching missions in the home) or Week 2 (missions experiences for the whole family). In our third week, we’re focusing on praying for the Nations. I don’t know about you, but I often pray for unsaved friends and family members. And since my husband is a pastor, I usually remember to pray for the unsaved in our local community. I also pray for our missionary friends and those we support. However, one thing I seldom remember to do is pray for the most unreached people groups of the world! Today I’m going to share with you the T.H.U.M.B. method, borrowed (with permission) from some new missionary friends. The T.H.U.M.B. method is unique because it focuses on praying for the largest unreached people groups according to specific prayer points based on the spiritual beliefs of those groups. One important distinction to make is that unreached people groups aren’t simply unsaved people. Unsaved people will always exist on earth until the end of time. However, the Bible is clear that all nations must be reached with the gospel before Christ will return. Unreached people groups are those who have literally no gospel presence. It’s not just that they are unsaved, but that they also have absolutely no opportunity to learn of salvation! Just think of it : whole generations of men, women, and children are being born, living, and dying without ever hearing of God’s provision in the form of Jesus. As a follower of Christ, I would like to be more intentional about praying for these unreached peoples, that they might have the opportunity to hear the Good News for God’s glory! I want my children to learn by my example, too. Our plan is to use the T.H.U.M.B. method and pray for one group each day of the week, Monday through Friday. 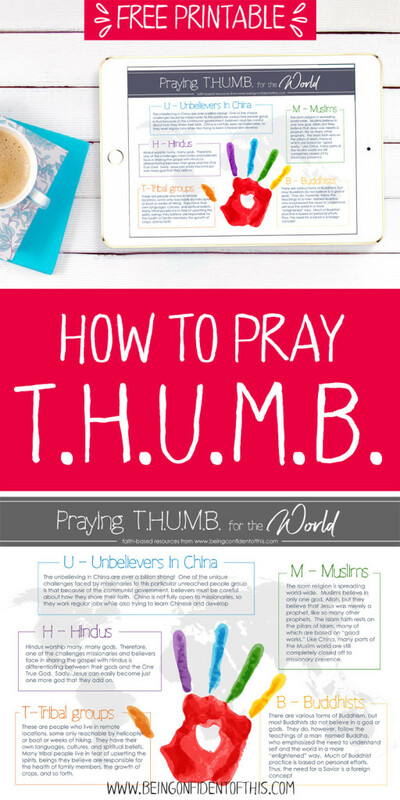 One apsect of praying T.H.U.M.B. that I love most is that it is so easy to remember! T – Tribal groups – as you might imagine, these are people who live in remote locations, some only reachable by helicopter or boat or weeks of hiking. They have their own languages, cultures, and spiritual beliefs. Many tribal people live in fear of upsetting the spirits, beings they believe are responsible for the health of family members, the growth of crops, and so forth. So, when bad things happen, it’s because the spirits are unhappy and must be appeased. Often these beliefs lead to tragedies such as witch trials, ritualistic deaths, beatings and other brutality. These people live in oppressive spiritual darkness. H – Hindus – Hindus worship many, many gods. Therefore, one of the challenges missionaries and believers face in sharing the gospel with Hindus is differentiating between their gods and the One True God. Sadly, Jesus can easily become just one more god that they add on. U – Unbelievers in China – they cheated a little on this one to fit the acronym. 🙂 The unbelieving in China are over a billion strong! One of the unique challenges faced by missionaries to this particular unreached people group is that because of the communist government, believers must be careful about how they share their faith. China is not fully open to missionaries, so many believers enter as teachers, businessmen and women, and so forth. They work jobs while also trying to learn Chinese and develop discipling relationships with others. M – Muslims – the Islam religion is spreading world-wide. Muslims believe in only one god, Allah, but they believe that Jesus was merely a prophet, like so many other prophets. The Islam faith rests on the pillars of Islam, many of which are based on “good works.” Like China, many parts of the Muslim world are still completely closed off to missionary presence. B – Buddhists – There are various forms of Buddhism, but most Buddhists do not believe in a god or gods. They do, however, follow the teachings of a man named Buddha, who emphasized the need to understand self and the world in a more “enlightened” way. While I don’t understand all of the Buddhist beliefs and practices, I do know that much of it is based on personal efforts. Thus, the need for a Savior is a foreign concept. For more information on the T.H.U.M.B. technique and its specific praying points, please visit Beyond the Bullingtons – the Bullington’s are nearing the end of their training to be church-planting missionaries with New Tribes Mission. Why not make praying T.H.U.M.B. part of your daily or weekly prayer routine? As your children, or even grandchildren, grow old enough to understand, you can teach them this acronym so that they might pray for the largest unreached people groups alongside you. You might even consider praying for a different unreached group at a certain time of day, such as a mealtime or bedtime. The acronym is easy to remember, so why not connect it to an easy-to-remember time of day? As I mentioned in the introduction to the Much Ado About Missions series, nearly a third of the world’s total population remains unreached. Praying is one way that we can all do our part! How can you use the T.H.U.M.B. method in your home? Get your FREE copy of Praying T.H.U.M.B. printable by signing up below! The day didn’t start out this way. We left for the beach with smiles on our faces, anticipation building with each mile that passed. We had our swimsuits on, our sand buckets packed, our snack sack filled. We were heading into what was sure to be a beautiful day. But then it turned ugly. There was a bee sting and disobedient children followed by a sudden realization that all was not well. Disappointment, frustration, harsh words, and fear all balled up into one, a wound ripped open in the midst of a beautiful day. It was the kind of deep wound that ruins any thought of fun or enjoyment. And the children were watching, and I felt stuck. To read the rest, click here and follow me to the new home of this article. This weekend marked the one month birthday of this blog, Being Confident of This. It’s a blog I started, but I’ve decided not to call it my blog anymore because it really isn’t. It’s God’s blog. The reason I say it’s His blog is because He’s done greater things for it in this short time than I could have ever imagined! 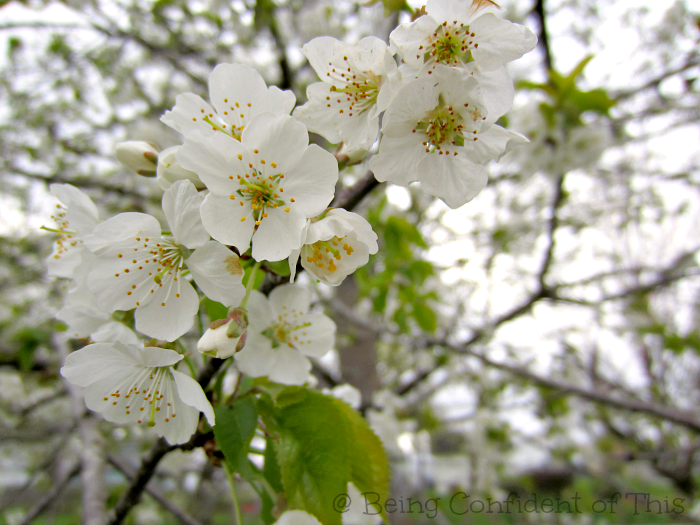 I’m happy to tell you that today “Being Confident of This” is being featured on two other blogs! Exciting! 🙂 My cousin, Angie, at http://www.angieknutson.com/ has been a huge help to me in my blogging journey this far. She has a wealth of knowledge and has been kind enough to share it with me, in spite of her own busy schedule, on multiple occasions. I really appreciate her support! Tomorrow she’ll be sharing a brand new post from me about how to handle dreary mornings, so stay tuned for that!! I see what you did there, God. I see how you used that post about Mary Moments in a Martha World to remind me that the best thing is spending time with you. I see how the post about being a Transformer convicted me to live out truth in love. I see that the biggest flaw in our Sanity Saving Chore Charts is whether or not we as parents are consistent in our follow-up. At the same time, Lord, I’m learning that I have to be careful with this blogging thing. I heard my little boy the other day when he said I was spending too much time on the computer. I know I need to watch how much time I pour into this. I have to find balance between my time with you and blogging and family and church. It’s not easy, but I know You’ll help me. I see now that it’s part of the process, part of that work in progress. Father, I’m also learning that you just want me to be me and to trust You to give me the words to say. When I try to create a fabulous post on my own – it flops. 🙂 When I trust You for the message, it soars. I see how that works, God, and I’m trying to get out of the way so that You can use me. I also see, Lord, the potential to find my worth in the numbers (now I know what my pastoring husband feels like!). I don’t want numbers to be a measure of who I am. I want who I am to be found in You alone. Help me to be obedient to You in sharing the messages You give without worrying about how many people are visiting today, tomorrow, or the next day. Help me to remember that the value is in the obedience to You. Most of all, Lord, I want to remember that it was Your idea to create this blog, not mine! Like anything else in my life, it ultimately belongs to You. Help me to surrender that control! Help me to remember that You can bring an audience all on Your own with no help from me. I’m simply the vessel. Make me a humble vessel. Thank You, Father, for this amazing journey. Also linking up at any of these lovely blogs. We’ve been experiencing some parenting problems in our home recently. With four children, it’s bound to happen from time to time! One of our children is struggling socially at school since we moved last summer and has requested to home school this fall. While I’m willing and capable of teaching him at home, we want to be certain it is the best solution for him. At the same time, one of our preschoolers has been demonstrating disrespectful behavior by grunting or growling when I attempt to correct him. It’s basically the same thing as saying, “NO, Mom!” I wasn’t expecting such stubbornness to surface at the age of four! What happened to my sweet two-year-old? Continuing in our efforts to parent with Christ in mind is difficult when we aren’t seeing results. Sometimes when we’re parenting, there is no clear right or wrong answer. I can become obsessed with gathering information from various sources in an attempt to make an informed decision. Unfortunately, when I turn to parenting resources (even Christian parenting resources), I often find that they can contradict each other in the details. In our “how-to” age, we can access a hundred different opinions, or even tried-and-true techniques, about any given subject at any given time. Which one should a desperate parent choose?? As a mama of four children, I know that not a single method will work well with every child, every time. Thus, one potential problem with looking to others for help is the tendency to see that repeatedly re-pinned, how-to post as gospel-truth. As I was thinking about social media and how it has changed the way we parent, I wondered: what happened to relying on the Spirit to guide us? “Give me wisdom and knowledge, that I may lead this people, for who is able to govern this great people of yours?” (2 Chron. 2:10). You see, Solomon had some pretty big shoes to fill when taking over his father David’s kingdom. How would you like to be next in line after the “man after God’s own heart?” Solomon knew he lacked wisdom for leading. He also faced a huge project, the building of the temple! The temple would be a place of worship for generations to come, and that burden rested on Solomon’s shoulders. Parenting is a little like that, isn’t it? We know that the choices we make will affect not only our own children, but also our children’s children and even the generations to come. Like Solomon’s task, our task is also great, for a whole world of lost people is at stake! The key is remembering Whom our children ultimately belong to. Solomon recognized that He was given authority not over his own people, but over God’s people and that the best leader for those people was God Himself. In the same way, as parents we’ve been entrusted with these beautiful beings, but they don’t really belong to us. They belong to Him. Like Solomon, we parents should ask God for wisdom to lead them, His children. What I am suggesting is that we not forget the ultimate source of wisdom when it comes to parenting, or really anything in life – our Father God. In the midst of my parenting problems, I imagine His response. Trust Me. Ask ME for wisdom instead of asking others first. Be led by the Holy Spirit and by my Word. After all, I am their Creator; who better to understand them and their needs, but me? Persevere in your purposeful parenting and wait to see what happens. I still don’t know how to best correct our four-year-old’s sudden defiance, nor do I know where our middle child will attend school this coming fall (update: he has adjusted well to his new school!). Both situations are works in progress because I am a work-in-progress parent and my children are works in progress as well. However, I do know that in the midst of my uncertainty, I can trust Him. He is in control. He knows my heart is in the right place. My sisters in Christ, if like me, you often feel confused by the wide variety of parenting styles, methods, and opinions out there, I hope today you hear His voice: trust in Me. If you find yourself lying wide awake at night wondering, “What am I going to do with this child? 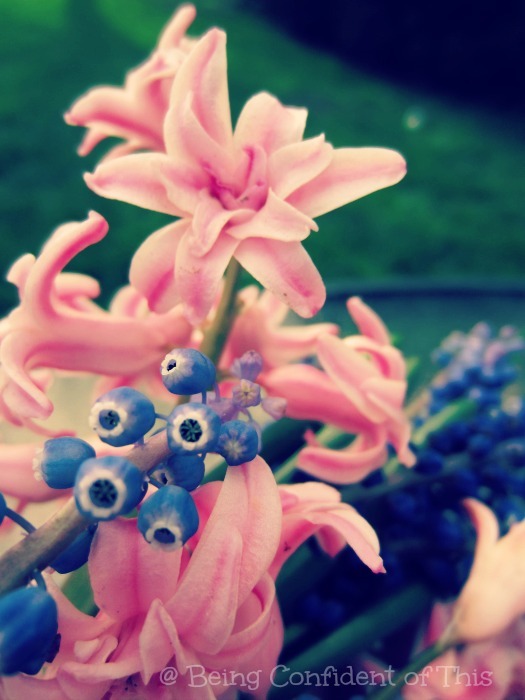 !,” ask for wisdom. And then sleep peacefully knowing that although your children have imperfect parents, they are perfectly protected in the hands of the Father. I’d love to hear from you, if you are willing to share! 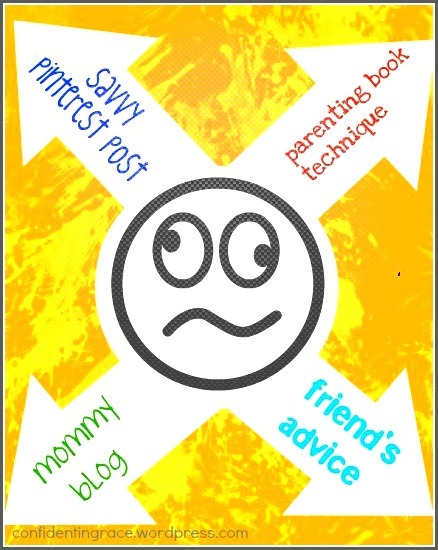 What parenting issues are you struggling with lately? What scriptures have you turned to for wisdom or encouragement in parenting?